Juan Flores has this habit of asking his family for instant tickets during the holidays. He has never won anything till late, but he has often pranked his family into believing that he has! This time though the joke seems to be on him. A ticket given by his sister-in-law won the top prize of $1.2 million and he had a hard time making his family believe him. 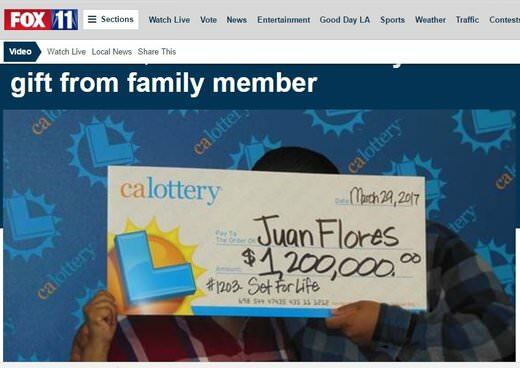 The sister-in-law says she has no hard feelings that Juan won the prize from the $2 ticket she had given. She was happy for him. It was one of two tickets she bought. She kept one for herself and gave the other to Juan. It’s just as well though, because it looks like the winner will share the prize with the rest of his family.